I've always loved Fashion from the past decades, especially from the 20's and 30's. 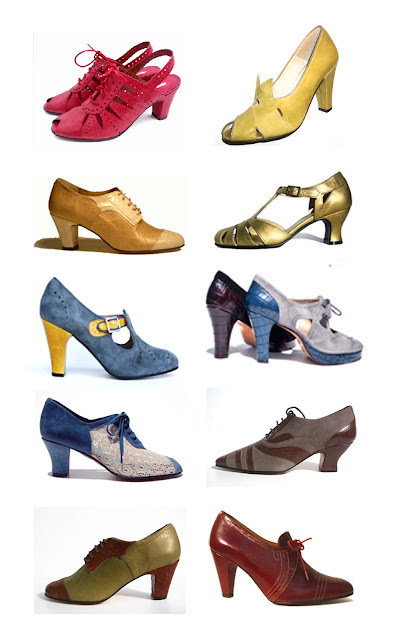 So I was particularly to stumble upon these great shoes from Remix vintage... I can imagine them paired with a pretty vintage tea dress but could also look fab with jeans and a cute little top... mmm, they're on my "to buy" list now! elles sont pas cadeau ces shoes là!